The Modul series of telescopic landing gear is extremely versatile. Thanks to its modular construction with variable mounting and operating heights, various crank handles and connection shaft lengths, plus five different foot types, all client requirements can be catered for. Modul B is the tried-and-tested standard telescopic landing gear. The Modul C range consists of various landing gears which are designed for special applications. Both ranges offer practical product advantages: the integrated gearbox has optimum protection, and requires minimum force to be applied on the crank handle in both directions. At the same time, Modul offers an extraordinary increase in lift of up to 120 mm combined with smaller dimensions for fitting. It goes without saying that the telescopic landing gear is extremely sturdy and complies with the strict AAR standard. The support is not a standalone, functional device. It is designed to be mounted on a trailer. The vehicle may not be operated until it has been ensured that the towed vehicle with the support complies with the applicable national road traffic regulations. In Germany, the relevant “TÜV” Safety Regulations and “StVZO” Motor Vehicle Safety Standards are to be observed. 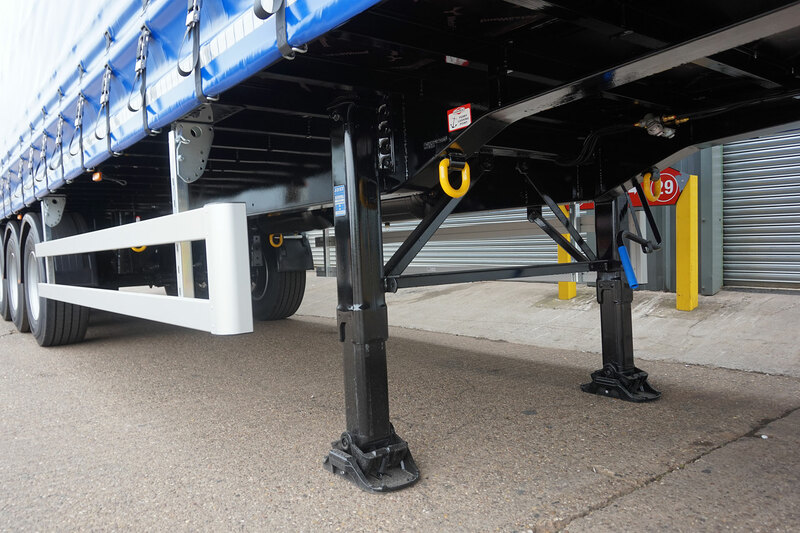 The telescopic landing gear is always to be used in conjunction with the instructions for use issued by the manufacturer of the relevant trailer. Since the market entrance Modul landing gears are setting benchmarks. The modular construction allows a multitude of different varieties. The Modul series of telescopic landing gear are available with a range of different feet: S, A, T and TC foot. Landing gears from JOST are especially sturdy and resist also unfavorable exterior conditions. The Modul landing gears are equipped with a long-term lubrication. Therefore they can be used three years without relubri­cation.